Neglect, by Sharyn Rothstein, has been brought back to the Salt Lake City stage by Utah Contemporary Theatre for a full-scale production after February’s staged reading as part of the Edward Lews Black Theatre Festival. It’s Chicago 1995, and there’s a record-setting heat wave in progress. Rose (Yolanda Wood, pictured) is an elderly woman afraid to leave her apartment in a neighborhood that has seen better days. Joseph (Carleton Bluford), a young man from down the hall, has come by ostensibly to drop off her mail and maybe soak up a little air conditioning. The resulting hour is an incisive look into what our urban centers once were versus what they have become, and how interpersonal relationships have changed as a consequence. Rose has a hard time keeping track of what she’s been told in the past few minutes, but is a hell of a rummy player and seems to know the name of everyone in the building—or at least everyone who lived there 10 or 20 years before. Joseph is genuinely polite and helpful but also uneasy and almost certainly has an ulterior motive. But how far will he go to get what he wants, or what he needs? 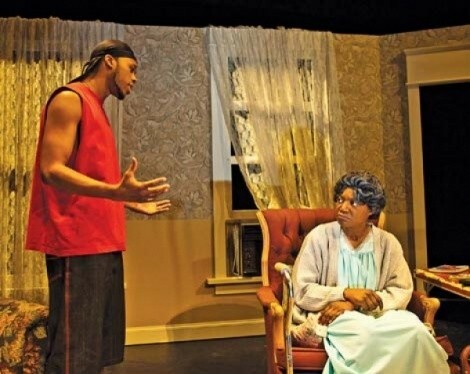 Finely acted, with Yolanda Wood’s performance as Rose particularly stunning, the script for Neglect plays like a song, with themes introduced, referenced, and turned around for a satisfying chorus. Emotional notes are hit, but not overplayed. Neglect tends to its ideas and characters, without neglecting the subtlety that ultimately makes them matter.